A banda mexicana Le Butcherettes encontra-se a preparar um novo disco e tem vindo a deixar alguns aperitivos aos seus fãs. “struggle/STRUGGLE” será um dos temas presentes no novo trabalho mas está já disponível para audição, tendo sido lançado num EP produzido por Jerry Harrison (lendário membro dos Talking Heads), onde é acompanhado por outras duas versões da música. The struggle is never ending. As a latina woman, the constant battle within a steaming pool of perverted wagging tongues becomes a part of life which on a sadly angled upside only makes for thicker skin… yet none of those struggles can compare to the internal fight of self versus m/other, m/other versus your world. “The other” was trying to get inside to damage me. Since I wouldn’t open the door, it would then begin to bang and bang and continue to bang on the outer walls while yelling outside at the top of it’s lungs that no one would ever love and respect me because I am a “stupid evil girl”. It’s hard to not let “the other’s” words poison you especially when “the other” is a big part of your supposed existence and the very reason why you even breathe. It is the twin of the song that explore’s the light and the positivity to a dark and miserable existence with an urge of finding a climatic breath. This is the “what if I had opened the door and “the other” and “the self” suddenly embraced in forgiveness” take. Fun fact: The acoustic guitar from Talking Heads’ Stop Making Sense is played in this recording by Jerry Harrison. 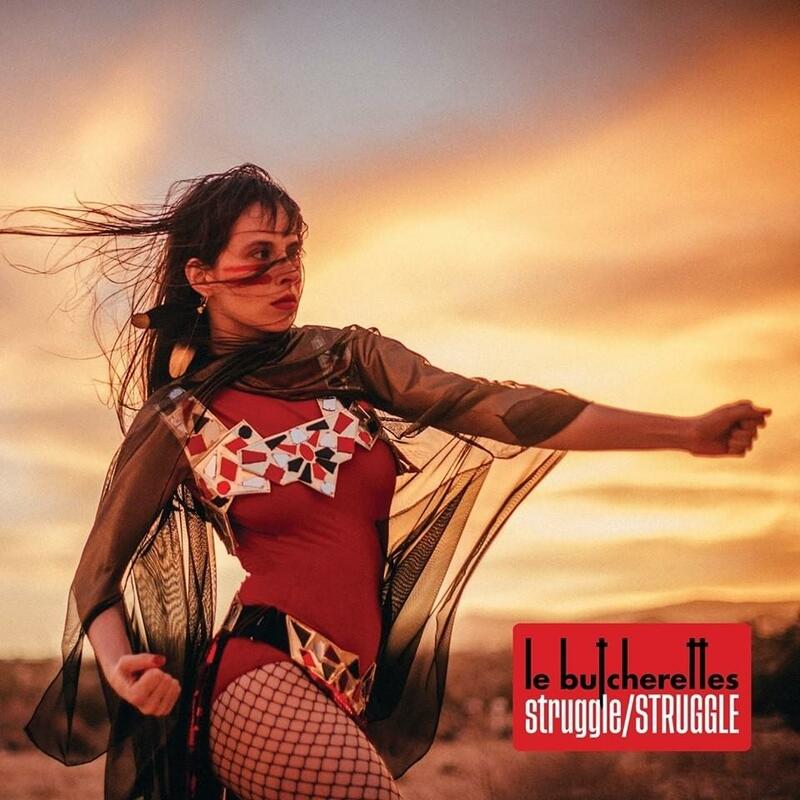 (It’s also very special to me because Jerry wrote the music to this version of the song on the spot, which is a second for Le Butcherettes’ history).